Decorating with color doesn't have to be scary. 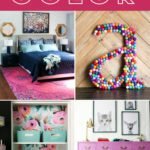 These simple tips will show you how to decorate with color without making a huge commitment or spending lots of money. 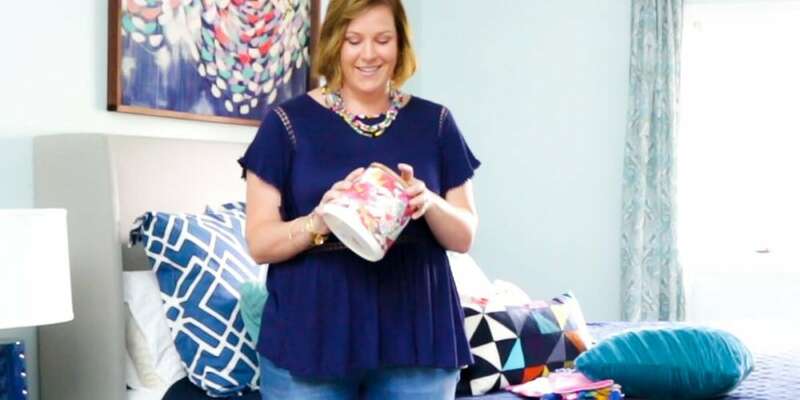 Soooooo, I am happy to report that I finally put together a post AND video all about how you can experiment with color in your home without spending a fortune. I hope you enjoy it. It will play after a short ad :) You can also read the tips if you prefer. 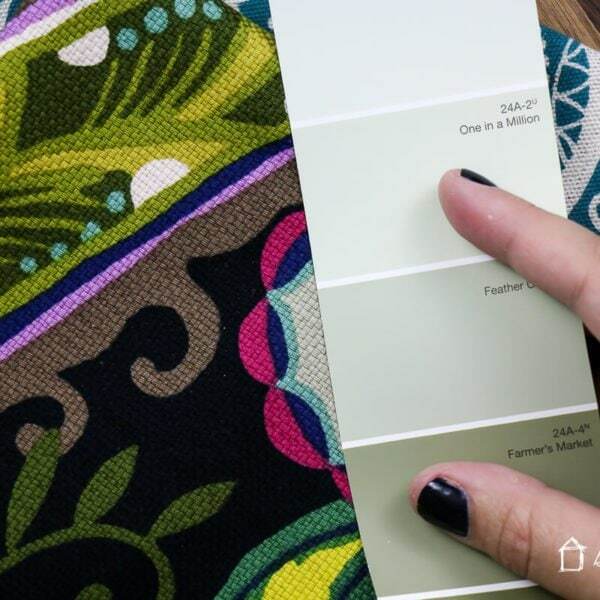 Decorating with color takes a little bit of practice. The more you practice, the better you get at it. The best thing about these tips I am going to share with you is that you can implement them without feeling overwhelmed or spending a lot of money. So if after experimenting with colorful decor you decide that you prefer neutral decor, you won't feel like you have to be stuck with it. 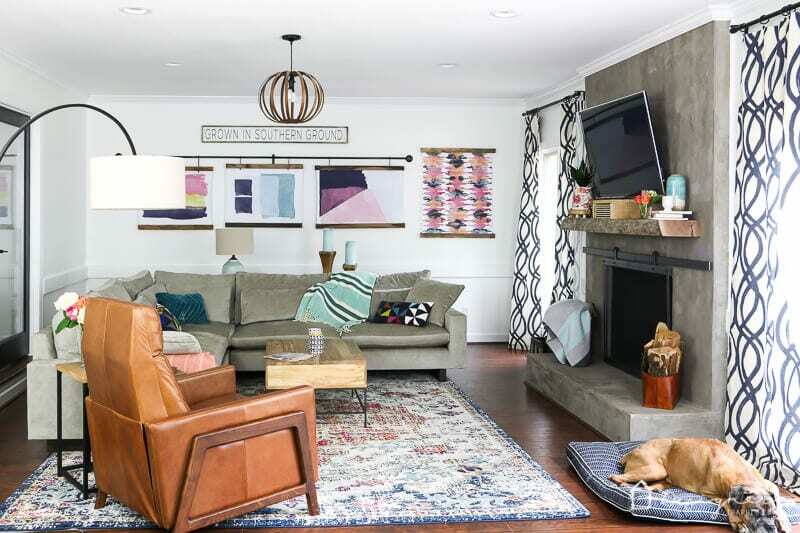 With that said, let's dive into my favorite tips for getting started with adding color to your home. Tip 1: Incorporate colorful artwork. If you're just dipping your toes into the world of color, you probably don't want to spend a fortune on artwork. I had a huge, windowless wall in my family room that I needed to fill with something, so I added large, colorful prints to these DIY frames that we made. I designed the prints myself and you can buy them in my digital art shop. There are tons of other digital art shops out there where you can buy digital prints very inexpensively. You can get them printed as engineering prints at an office supply store less than $10 each. Then pop them in inexpensive frames for a huge impact in a room. It's the perfect way to experiment with colorful artwork and to make a big impact on a really, really small budget. Tip 2: Incorporate colorful throw pillows. Another really easy way to add color to your decor is to incorporate colorful throw pillows. They are relatively inexpensive. I generally buy mine at Target and I've even made some from dish towels. 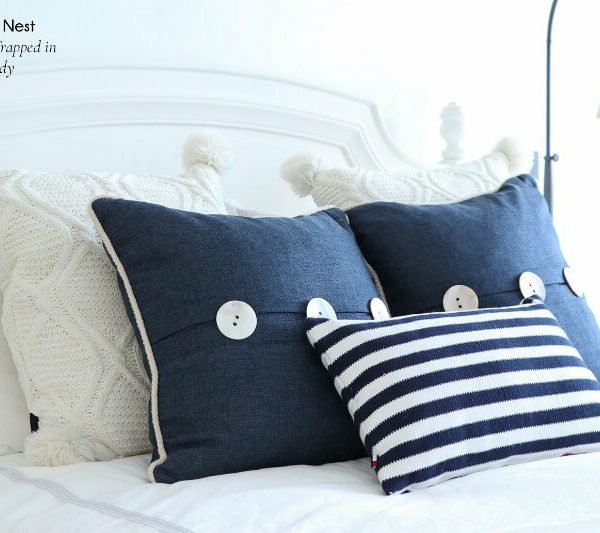 Pillows with a navy background and just pops of color on them are a great place to start because blue is a fairly neutral color and feels less intimidating. 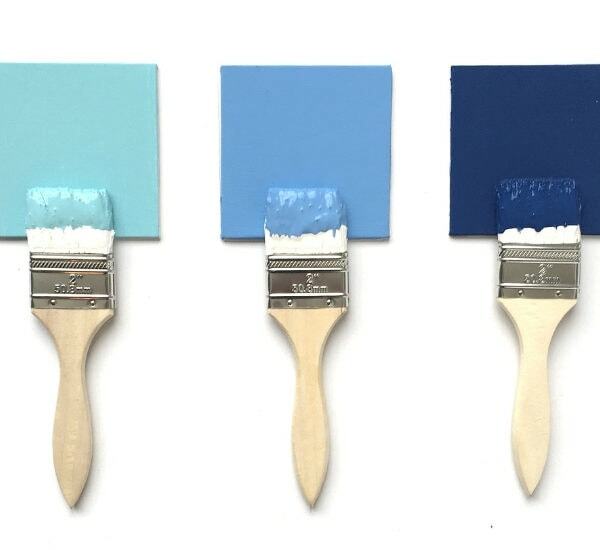 A lot of people think, “Well, how can blue be neutral? It's not like beige or gray!” But if you think about jeans, they are blue and they go with everything! So finding throw pillows that have a lot of blue in them with just pops of other color is a little less scary. 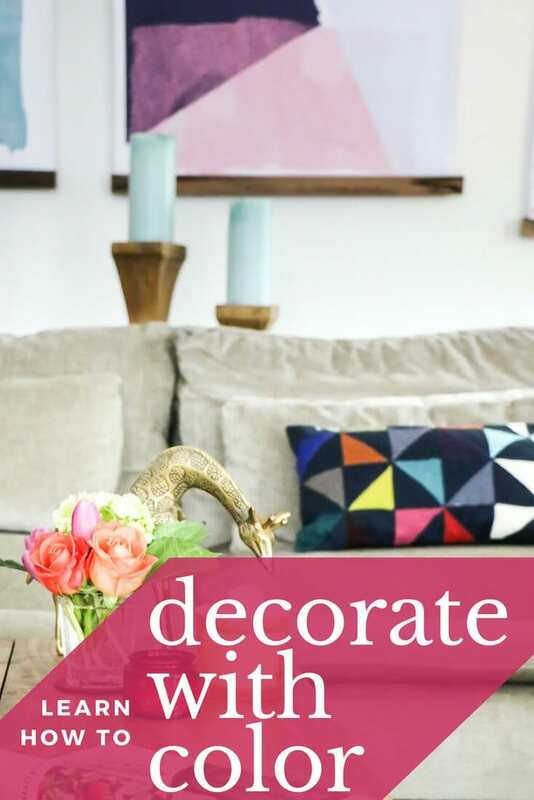 Tip 3: Incorporate colorful housewares. 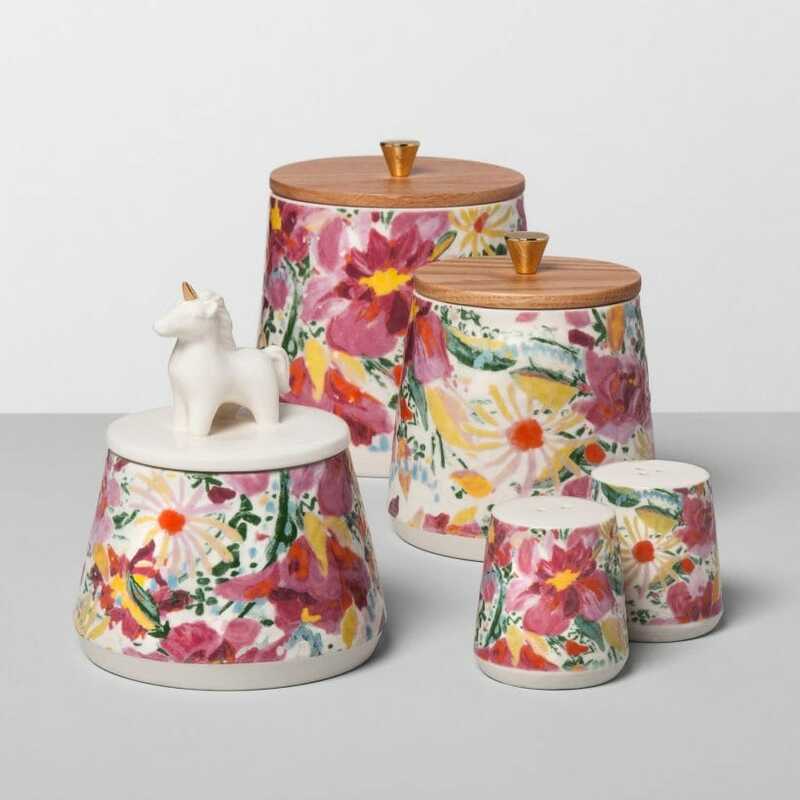 Colorful canisters and vases are another fun and low-risk way to add color to your home. I purchased these beautiful and inexpensive canisters and have added some to my kitchen. I'm using another one as a planter in our bedroom. If you have an all-white kitchen, adding just a few colorful canisters could instantly make it more colorful for less than $50. Tip 4: Incorporate colorful textiles. Things like colorful kitchen towels, placemats, throws and tablecloths can go a long way in bring color into your home on a budget. Curtains can also be a great way to add color to a room, but they can get pricey. So, if you still aren't quite sure if a color-filled interior is for you, then stick with inexpensive textiles for now. 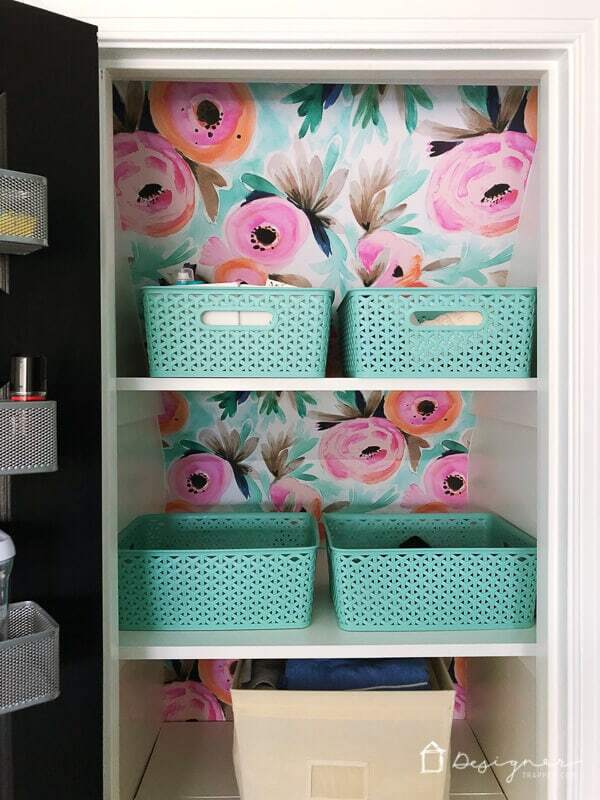 It can be overwhelming to think about adding colorful wallpaper to an entire wall or room, but it's not so scary if you add it to a small space like a closet or powder room. 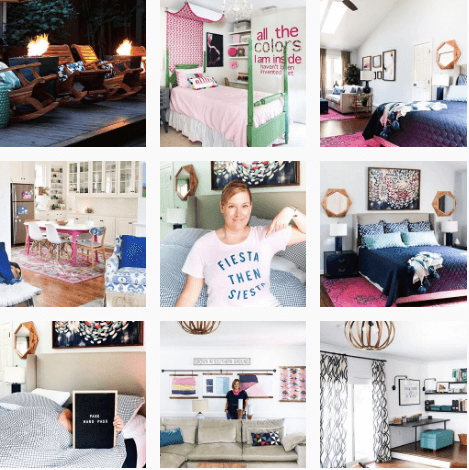 I'm not afraid of color (I've gotten over that hump), but I was really afraid of wallpaper! It seemed like such a big commitment, but I really wanted to try it. So, I wallpapered our linen closet. It was pretty low risk since it didn't cost a ton AND since we can shut the door. But as it turns out, we absolutely love it. So, if you want to try something really bold, try it in a small space. Once you are confident you love it, then you can try it in a bigger space. 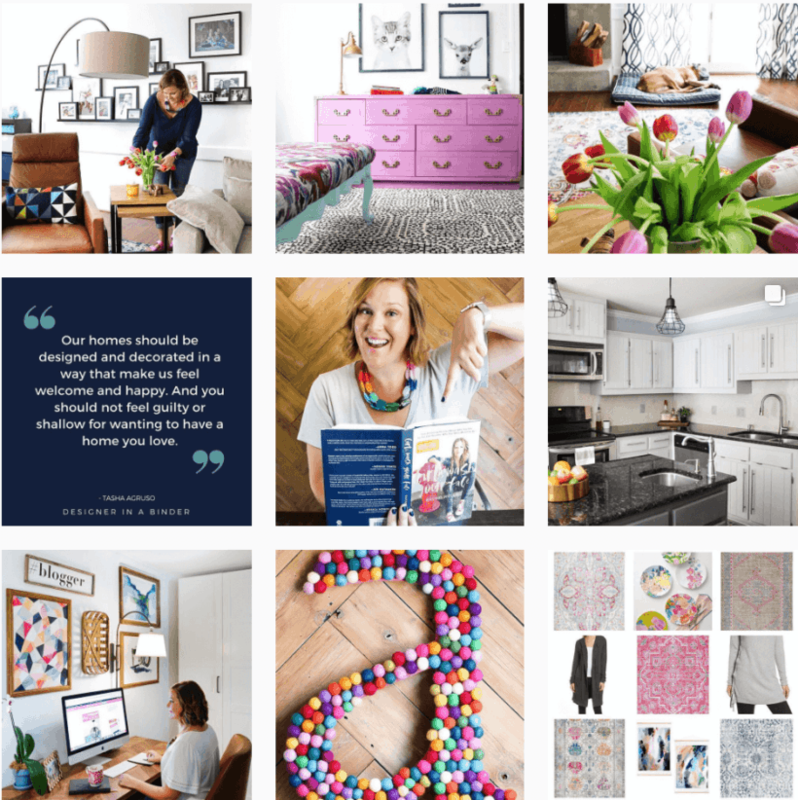 Before you head out, be sure to grab one of my free design guides for even more tips on how to create a home you love. These are all great tips. Integrating small (and not permanent) pops of color can be a great way to incorporate the pretty hues without a long term commitment – You can even swap for the seasons! Thank you! Glad you enjoyed the tips!